Perfect vector-based clip art drawing software with lot's of religion clip art! Easy to draw clipart and free download. 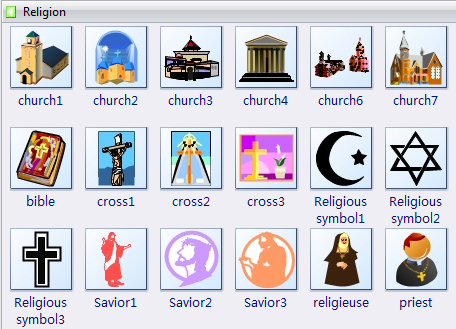 The religion clip art templates below contain some religion shapes such as church, bible, cross, religious symbols, savior, priest, religious, etc. 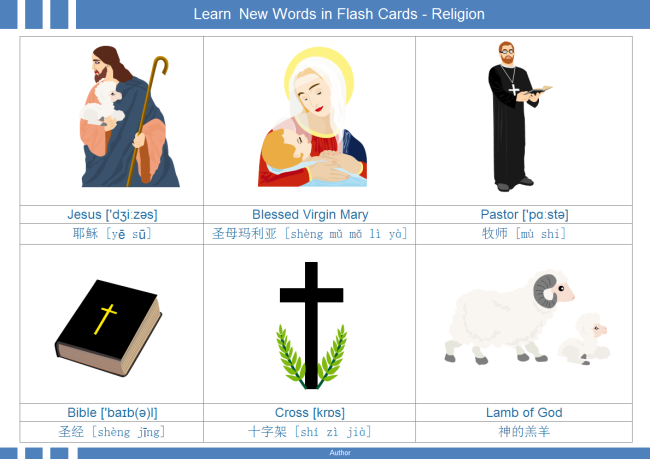 Edraw gives you the convenience of adding royalty-free religion cliparts for your presentation, report, website, blog and others. The above clip art can be applied to enhance diagrams in many ways. For instance, they can form a useful flash card. See below.